Every so often you’ve got to push yourself, do something which is genuinely challenging – so challenging that you don’t actually know whether you can achieve it. 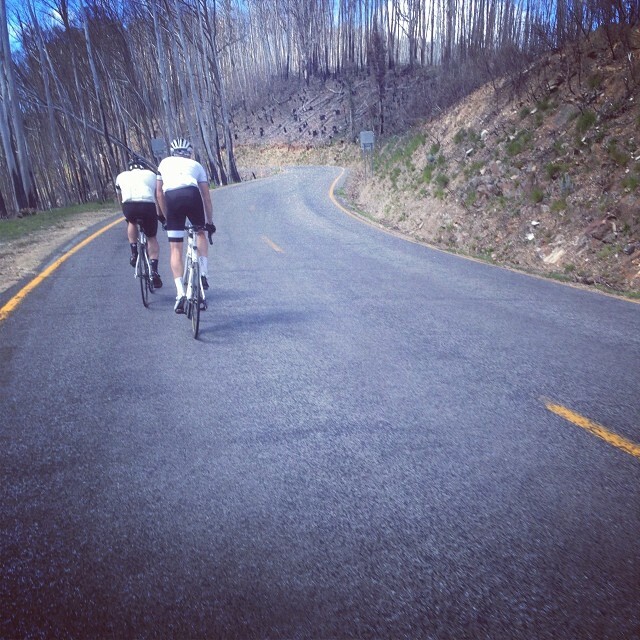 A couple of weeks ago, me and a couple of my riding mates, James (who I used to ride with as a kid) and Alex, joined a group of riders for the Coburg Cycling Club alpine training camp at Bright. Bright itself is a lovely place to go in its own right, nestled in the heart of a long valley that takes you into the middle of the Victorian Alps. 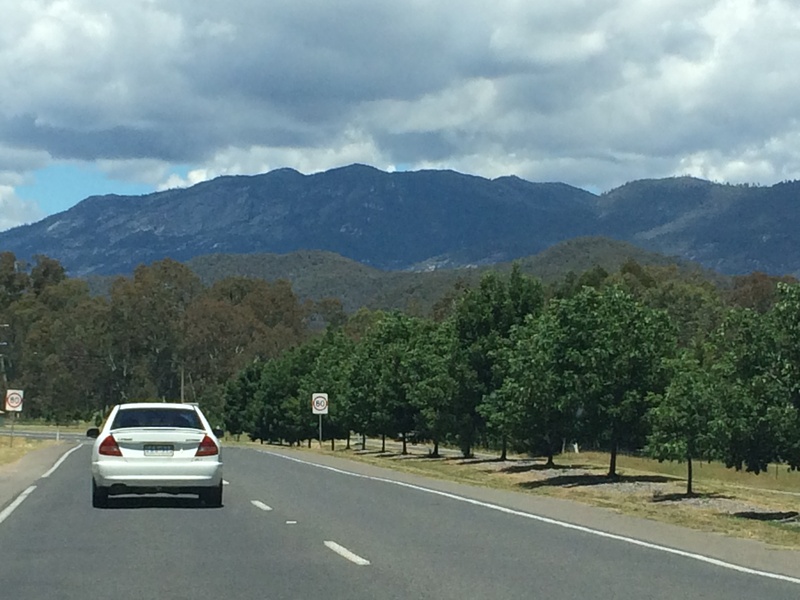 Running through it is the Ovens River, and close by are Mount Buffalo, Hotham, and Fall Creek. We only got the training program a couple of days before the start and when we did I was genuinely concerned how I would fare over the weekend. In three days we would ride over 300km and climb over 4.600m. I usually have time to prepare myself mentally for these things, but not on this occasion. I’m no stranger to big rides, but normally I have rest days between rides of 100km or more. Luckily, I’ve been able to get a few good weeks on the bike. Not as much as I wanted, but it would have to do. We drove up on the Friday morning just in time to quickly get changed before heading out for a ride up Buffalo. It was a new experience to ride out in an organised fashion, one I came to really like. Buffalo is a big climb, with just over 1,000m gained over a distance of about 21km. The gradient isn’t too challenging at an average of 4.8%, but it’s consistent and unrelenting so it takes a good sustained effort to get to the top in good time. I rode very conservatively up this one, wanting to conserve as much energy as possible for the next two days. In retrospect, this was wise. Saturday morning we rode out at 8am to ride the route that the Tour of Bright would take on its second stage. 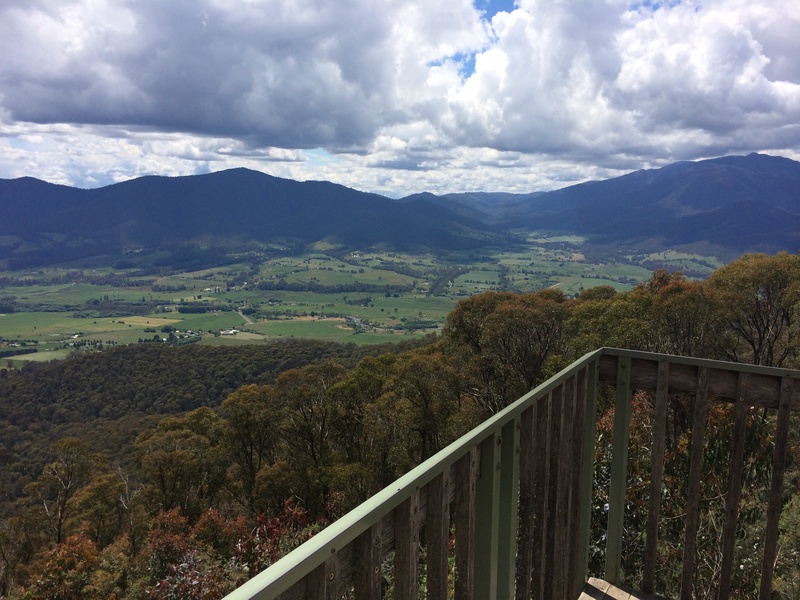 The 120km loop included two main climbs, Rosewhite and the more difficult ascent of Tawonga Gap, coming up from Mt Beauty. The first 53km were fast, and easy, riding in a well disciplined formation along the gentle undulations of the valley. But as soon as we hit the first climb I, and a few others, quickly lost contact with the rest of the group. We regrouped at the water-stop on the other side, but this would be repeated again on the approach to Tawonga. Though it’s not a massive climb it felt really tough, and after a final sprint to the top I though I was going to be sick. The reward was a great descent back to Bright where we waisted no time in pulling into the brewery for a pint of their best and some lunch. Then it was legs up recovery time. 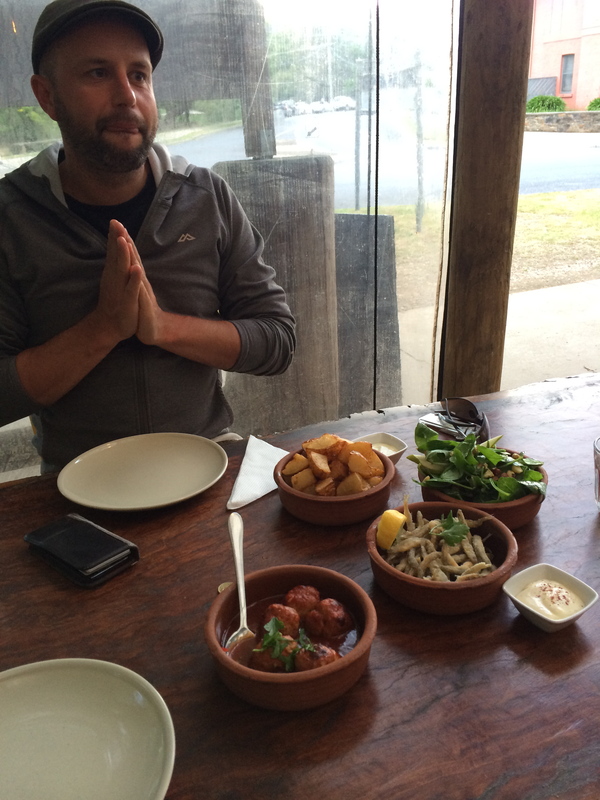 Good food is a one of the features of my riding and we rewarded ourselves with a fantastic meal at Ginger Baker. It’s not a bakery at all actually. I assume the place is named after the English drummer. If you visit, it’s really worth a visit. 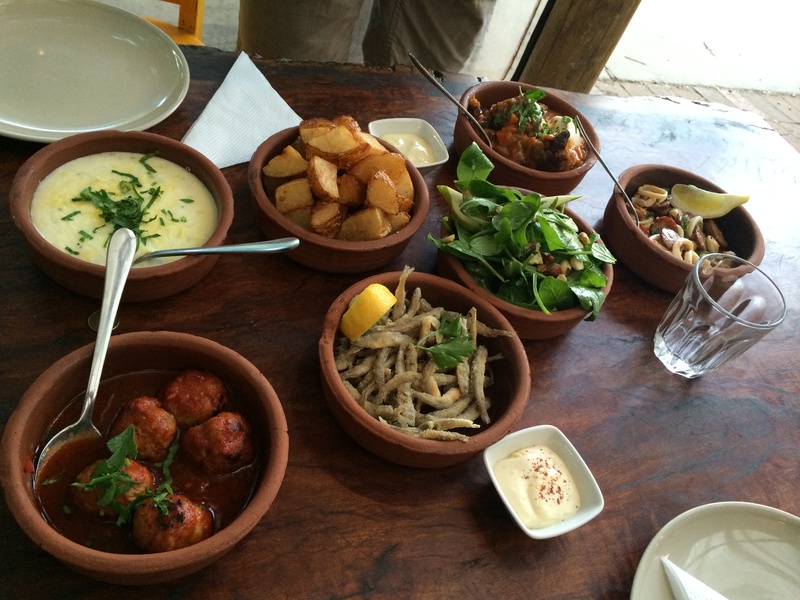 They do beautiful tapas, great coffee, the lot. 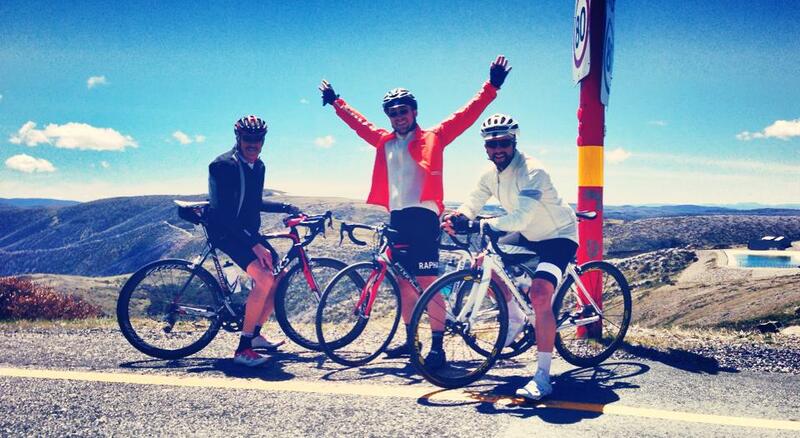 I didn’t know it at first, but Day 3 was the big one: the climb up Hotham. Mt Hotham is a beast. The climb is over 30km and rises just under 1300m. The hardest sections are in the last few kms after you’ve been steadily climbing for the best part of 2hrs. There is a long ‘false flat’ of 8km in the middle, though even on this section you gain another 200m. The final 10km or so are marked by several very steep climbs and descents. What made this especially hard was not knowing the undulations, so I had no idea of what was ahead of me. Then even on the way ‘down’ you actually start with some very steep sections before the magnificent, and well earned ride down to Harrietville. I think it must have been the mental relief of having finished the climb and gotten down safely, but for the last 25km home between Harrietville and Bright I had more power in my legs than I had all weekend. It was like I had been keeping all this in reserve. An Alpine training camp is meant to be challenging, it’s meant to push you and test your limits and this certainly did that. It also gave me a taste of disciplined group riding which I loved. As I wasn’t setting my pace, it felt like I was part of a larger living machine. Also, on the flat sections, riding in formation saves you a lot of energy so we were able to cruise through the country at an impressive pace for minimal effort. Knowing what this is like, and knowing that I can get through a weekend like this, I want to do it again – do it with more confidence. I’m looking forward to revisiting these mountains armed with some knowledge and experience. This will come in just a few weeks when I do the remaining rides for the Domestique Series. The challenge will be to link together Hotham, Buffalo and Tawonga on one day – one big day, over 200km and around 3,600m.